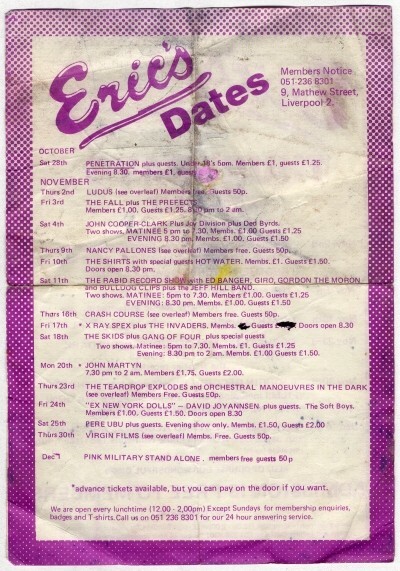 The back of a flyer for Eric's, Liverpool that was advertising a series of gigs on upcoming Thursdays. The back lists all the other gigs on other days of the week and shows quite a remarkable line up! The Joy Division gig is noteable as they were supporting John Cooper-Clarke and seemingly played a matinee plus an evening show, something they later repeated on 11th August 1979, also at Eric's.